If you’ve poked around on the internet at all about what a small business needs in order to be successful, you already know that you need a functional blog. Knowing that you need one, however, doesn’t necessarily make it easy to get one up and running or to keep one regularly updated. For those who are not familiar with blogging or do not know what kinds of content their readers will be interested in, mistakes are bound to happen. 1. You haven’t started your blog or you’ve quit working on it. Blogging, like any marketing or promotional effort is just that—an effort. You, like most small business owners, probably don’t have a lot of spare time, and coming up with blog topics and beating the inevitable scourge of writer’s block can be extremely time consuming. Eventually, you either just forget about the idea altogether and give up on your blog before it’s even started, or you give up after a few posts. It’s hard to say which one of these is worse. Not having a blog means missing out on serious promotional potential, but starting a blog and giving up on it can make your website and therefore your business look old and sloppy. The only real solution is to just keep on working on it. If you feel like you don’t have time, make time or outsource the project to a freelancer or a firm that runs and ghostwrites blogs for a living. 2. You’re only using your blog for search engine optimization. A blog’s underlying purpose can be to improve search engine optimization. While it’s true that a steady stream of valuable content helps with some of the most important aspects of SEO (expanding the size/content weight of your website, providing content for social sharing, integrating keywords into content to make your website more visible, etc. ), but if your only goal is to improve your page ranking, your content is probably not going to achieve that goal. Because search engines can tell the difference between content that is written for the reader and content that is written for the search engine—and search engines won’t favor content that’s been written for their eyes only. Your blog should be, first and foremost, about providing useful information to your readers, with the added bonus of being great for search engine optimization efforts. 3. Your posts lack personality. There’s nothing more boring (or ineffective) than scrolling down a list of a small business’s blog posts and feeling like you’re reading one corporate profile after another. If your posts don’t have any personality, they’re unlikely to first, attract readers, and second, to be worth sharing. Part of your blog’s purpose should be to make your business seem human, which is extremely important for small businesses. Most people prefer to work with small businesses because they are human. Your customers, clients, or patients will prefer feeling as if they are reading something that a person with a real personality has written rather than something that was churned out by a computer. If you’re having trouble infusing your posts with personality, find a freelancer or a digital marketing agency that can help you add some spice or creativity into your content. 4. You are too focused on selling. Even if you don’t sell a physical product, your blog posts can be too focused on trying to make that sale. No one is going to come to your blog to read about how great you think your products or services are. Again, that’s going to be boring and maybe even a little off-putting for most consumers. Additionally, if you are only using your blog to announce new products or services or report “news” about your business, you are letting some serious potential run through your fingers. 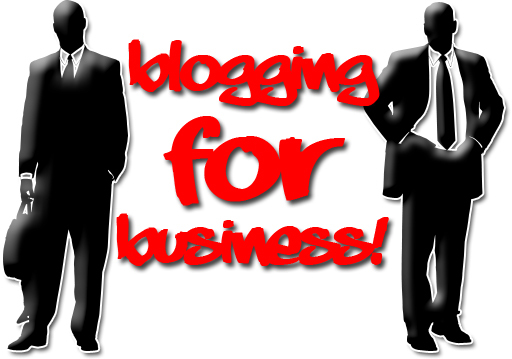 They are looking for informative, useful blog posts on topics surrounding your industry. Your blog should make your website a hub of information, the first and last stop when someone has a question that you can answer. Stop trying to constantly sell site visitors. 5. You’re not visual enough. Your posts should have at least one visual aspect, whether it is interesting formatting or a picture, graphic, or video attached. In short, your site visitors do not want to simply scroll through big blocks of text. At the very least, make sure you are utilizing enough white space, by breaking up your paragraphs into shorter, easier to read little snippets. For the more adventurous, start looking for ways to add graphics, pictures, or even videos to your page. You can use someone else’s images, as long as you ask permission (when necessary) and give proper credit. There are also plenty of places to get free stock pictures or even places where you can pay a nominal fee for a picture or to get someone to take one especially for you. 6. You aren’t sharing your blog. Just like your website, if you aren’t making the effort to promote it a little bit, no one will be able to find it. It’s not a secret, and while SEO will hopefully bring some traffic, you need to share your posts through social media marketing or your email list. Make sure customers, clients, or patients know about your blog by posting a notice in your store or office or make a note of it in your newsletter. If you’re making any of these mistakes or you are still trying to get started, keeping these blogging solutions in mind can make your small business blog really pop! STILL HAVE QUESTIONS ABOUT BLOGGING?